Last night when we were doing this tutorial we were talking about old make up mishaps and how we used to do ourselves up. I used to wear pink eye shadow all over my lid, but only to the crease, then add purple eye liner. Which is weird because now I am very allergic to any pink coloured shadows – my body totally rejected it. Gilly talked about how she would put gold eyeshadow all over her lid then top that off with gold liquid liner. We were so stylish. 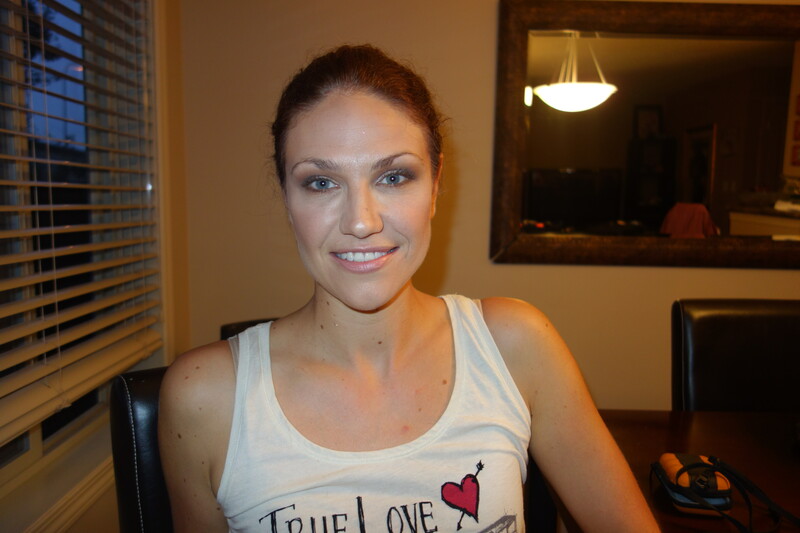 When I went on my first date with my now husband, I was really excited and I guess knew on some level it was going to be something special so I made my sister come over and do my makeup for me. 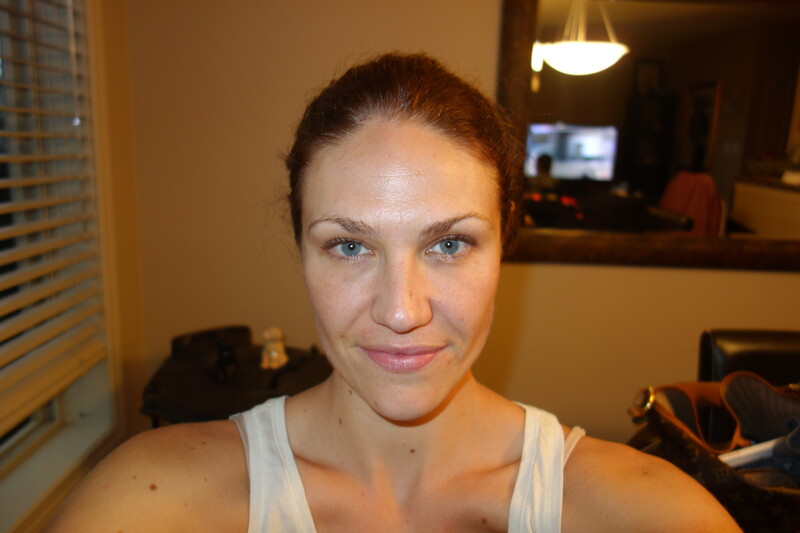 Side note – if you can somehow wrangle a family member into being your personal makeup artist… very beneficial! Today that look is being recreated, or as much as we can remember because that was 4 years ago. 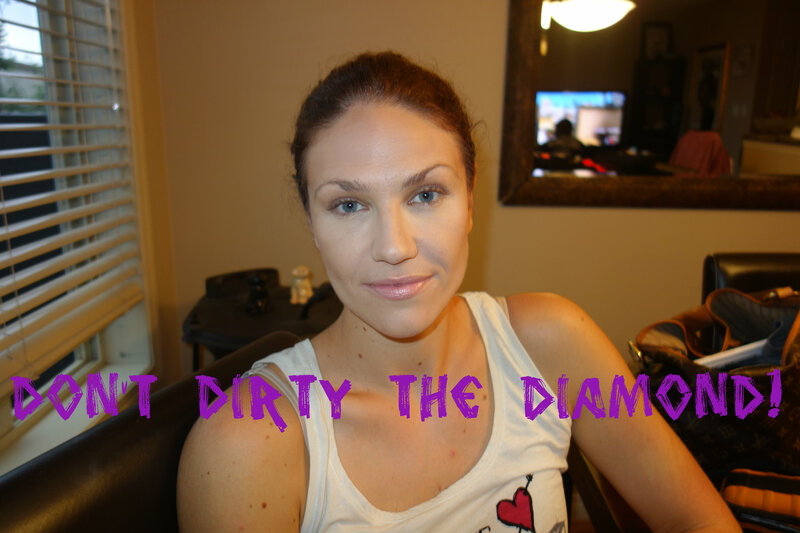 Start with your face clean and mosturized. 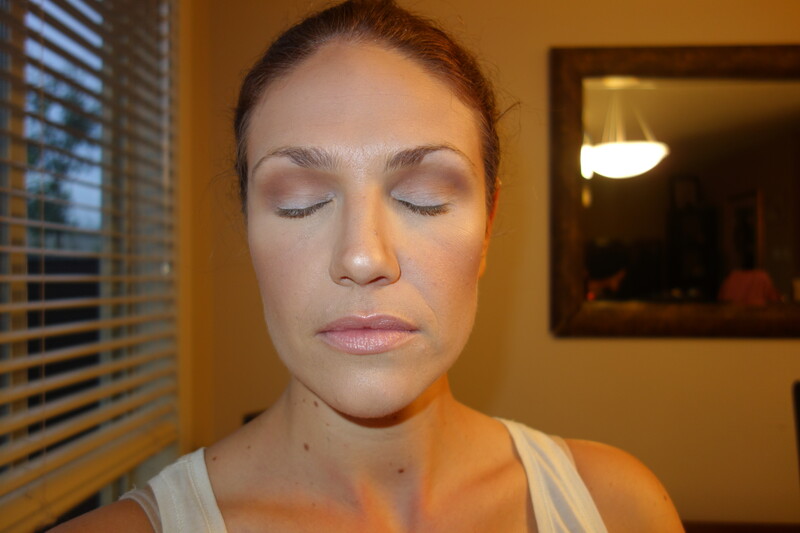 So first we took MAC Studio Fix Fluid foundation and cut it with a luminizer, we used Josie Maran Argan Illuminizer. Straight foundation can be heavy, especially in the summer. She used a moist blending sponge to apply, dabbing it all over my face and bringing it down my neck (very important!). This is the blending sponge we used, you can get it anywhere. For highlighting and concealing you want to choose a colour a few shades lighter then your skin but stick to one that matches your undertones. I’m yellow. Green based concealer erases red marks and orange conceals blue discolouration. Gilly swears by Benefit Erase Paste. Gently conceal any red marks and create a V shape under your eyes to conceal dark circles with that same sponge. Now blend baby blend! To finish these first steps of the face, we used MAC Mineralize Skin Finish in medium and brushed it lightly all over my face with a big fluffy brush. 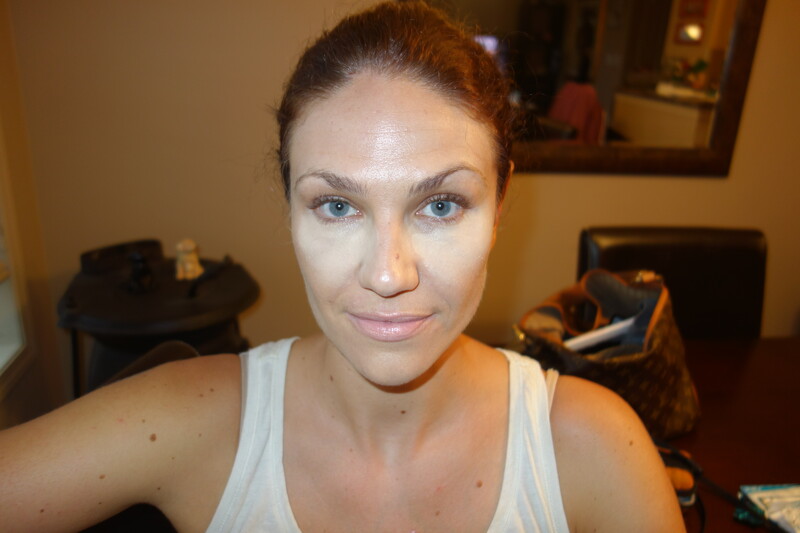 Now ladies and gentlemen, the ever important contouring. Choose a colour that is darker than your natural skin tone and in the taupe family. We used MAC Harmony. Using an angled face brush (try MAC 168) apply under your cheekbone, blending as you go – you don’t want it to look like you have a stripe. 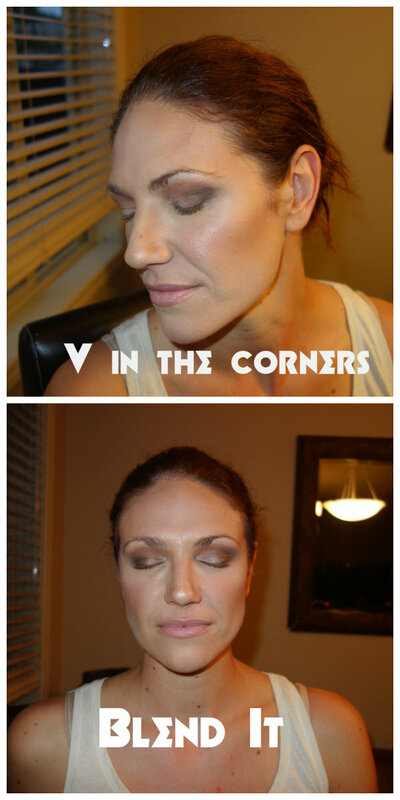 Learning to effectively contour will change your life! My, what big ears I have. 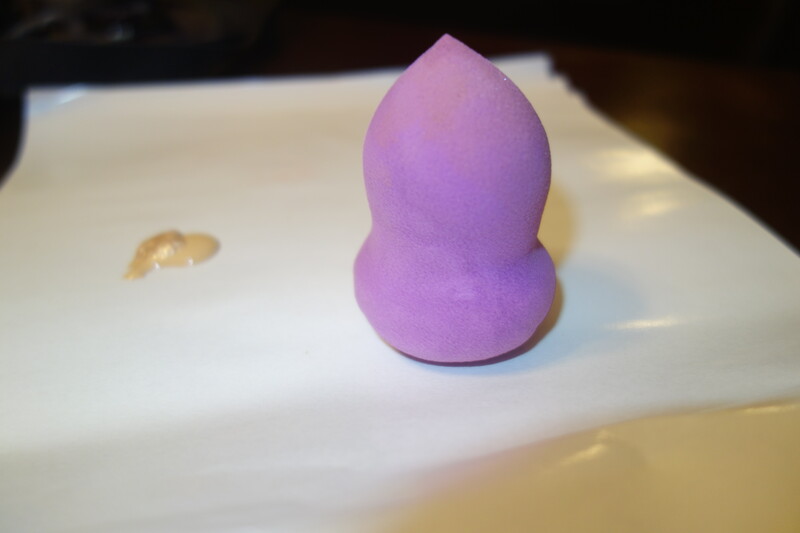 We also used this colour to contour my nose. Using a fluffy shadow brush Gilly went up and down the sides of my nose, blending out. You want to darken the sides and later highlight the bridge to thin. Blending is really the key here, you don’t want it obvious or you’ll look like Nikki Minaj. Now take any old blush brush and focus your blush on the apples of your cheeks, don’t go up your cheekbone because we will highlight here. 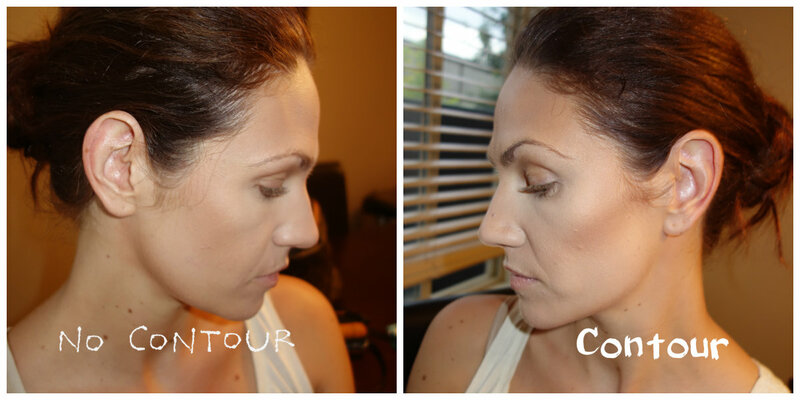 For highlighter we used Tiki by HardCandy, pop that on your cheekbones, bridge of your nose, centre of your forehead. Your face is ready! Look Into my Eyes and You’ll Find Me. Don’t put any concealer or foundation on your eye lids, use a primer, Gilly recommends Urban Decay Eyeshadow Primer Potion in Original and apply it up to the crease. Using a fluffy shadow brush (try MAC 217), we combined MAC Cork and MAC Brownscript, blend into the crease of the lid and up to the brow bone. The light colour on my lash line is from the primer. Now we mixed MAC Mulch with a touch of MAC Espresso on a small fluffy eye brush to add a V into the corner of my eye, once you’ve added that darker V you want to blend like you’ve never blended before! Then we filled in the lid with Sephora Golden Girl. I really like the Sephora shadows, they are nice and pigmented and seriously affordable. Gilly then used a dark brown pencil liner to line my lower lash line, and went over that with the Cork colour using MAC brush 228 (a really small, dome shaped brush with round edges) to blend out that line you just made. Finish your eye with a highlighter in your tear ducts and brow bone, we love MAC Nylon, it’s a non-negotiable to have in your collection. Of course, add mascara. I have tried lots of mascaras but I always go back to Lancome L’Extreme in black. I don’t know if it’s the brush or the formula or what but I won’t use anything else. Finally, I’m obsessed with a strong eyebrow. When I see someone with really skinny brows I get sad. They completely define your face, even on the days I don’t wear make up I fill in my brows. I used a lighter colour when I was blond, now I have to use a darker brown and using a small stiff eyebrow brush I follow my natural brow shape. I tweeze those babies frequently to keep some kind of shape, but always, always fill them in to give more depth and colour. If your brows aren’t done, your face isn’t done. Last but not least add some lip colour. Here we’re using Sephora Ultra Shine Gloss in Golden Scarlet. I’m not much of a lipstick wearer but I probably have over 50 lip glosses. It’s a sickness. Do you remember that Friends episode where Joey said he wore shiny raspberry lip gloss to make his lips irresistable to his dates? Do that! My husband was actually already asleep by the time this was all done (waa waaa), it takes a while to take pics at every step and record all that you’re doing! 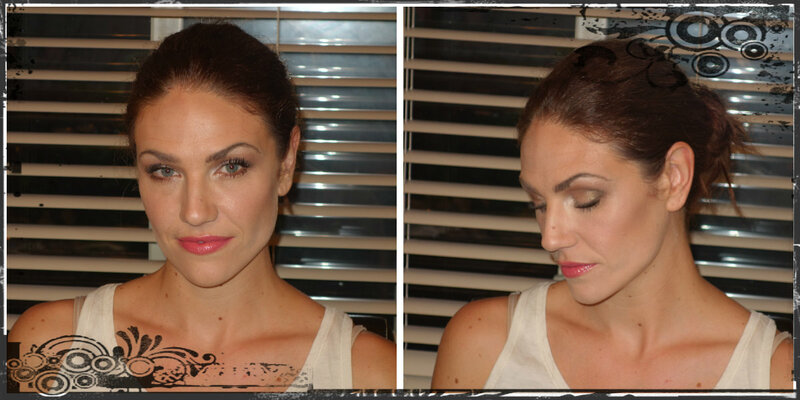 But now we can all recreate this look for date night! Good luck and have fun!